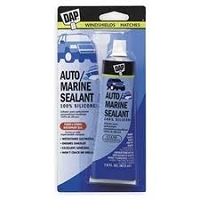 Long lasting 100% silicone rubber, seals and bonds for automotive and marine maintenance and repair applications. Provides a waterproof and weatherproof seal. Stays flexible, won't crack or shrink. Resists vibration, expansion and contraction.